As it turned out, it was one of the best meetings I've ever attended alongside a mix of researchers, software engineers and people from funding bodies. There were some keynote speakers and lightning presentations, which were enthralling, entertaining and I seem to remember laughing quite a bit. There were lots of smaller group activities to discuss diverse topics, some that I knew nothing about but left caring deeply. The collaborations workshop has shaped me to this day more than I’d probably admit, and gifted me some of the colleagues I have now. I’ve watched a few more collaborations workshops go by with green eyes, particularly the addition of Hack Days. If you want to judge the value of those then look no further than Robin Wilson’s Recipy. I have recently embarked on a new career direction outside traditional academia, running my own small business. Thinking back the seeds were planted back then, inspired by new ways to look at and do things. 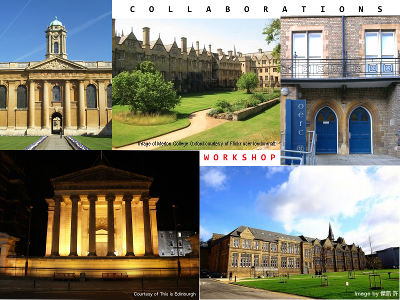 Although opportunities (I have a mid-aged family) and travel funds are limited, the Collaborations Workshop 2017 is a must-attend for me. I know that the broad range of people, flexible and inclusive approach of the meeting, and the creative thinking in abundance will energise me and help shape my business direction. If you haven’t been before, I strongly recommend you come. It’ll surprise you in ways you never expected!